August 26, 2016 -- A New Jersey oral surgeon has been linked to 15 cases of bacterial endocarditis, a heart infection, including one patient who subsequently died. While an investigation by state health officials found "breaches of infection prevention practices" at the office where patients had received IV sedation, the doctor was not suspended or penalized by the state dental board. The outbreak of Enterococcus faecalis endocarditis occurred among patients who had oral surgery between December 2012 and August 2014 at an oral surgery practice in Morris County, according to the 11-page report by the New Jersey Department of Health. A November 2014 inspection of the practice of John Vecchione, DDS, by health officials found that infection prevention protocols violated U.S. Centers for Disease Control and Prevention guidelines, especially breaches of injection safety. Twelve patients needed cardiac surgery as a result of their infection, with eight patients requiring valve replacements and four requiring valve repair procedures, the health department report noted. One patient died from complications of the infection and resulting cardiac surgery. "The organism was likely introduced into the patients' bloodstream during the administration of intravenous sedation," the report concluded. "The magnitude of this prolonged outbreak is likely to be greater than the number of cases detected since the method used to detect cases is insensitive." 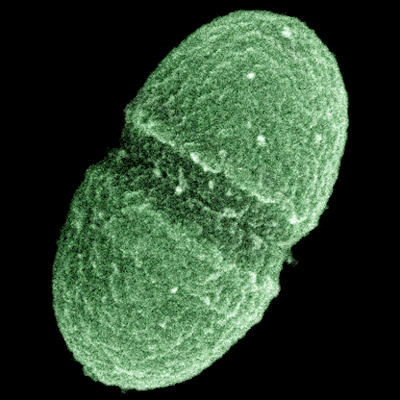 Enterococcus faecalis outbreaks are rare, but 15 cases of E. faecalis endocarditis have been linked to the New Jersey dental practice. Cases of E. faecalis outbreak are rare and are usually associated with gastrointestinal or genitourinary disease, the health department noted. By November 2014, three cases of infective endocarditis were associated with dental extractions at the practice. "Injection safety breaches that have been previously associated with cases and outbreaks of disease were identified during the site visit to the oral surgery practice," the health department report stated. According to a video on the website of attorney James Lynch, a health department investigator stated in a June 2015 report that the drawers in the patient care rooms of Dr. Vecchione's reminded him of "the junk drawer in your kitchen if they had syringes and multidose vials. It was this bad all over." Lynch has filed six lawsuits in July and August on behalf of several of the patients. Although the health department report, which wasn't released until July 20, 2016, does not name Dr. Vecchione, he was the subject of a July 7, 2016, administrative action by the New Jersey Board of Dentistry. The action focused on patients who had contracted bacterial endocarditis after undergoing surgical procedures by Dr. Vecchione. Lynch confirmed Dr. Vecchione is the dentist in question. The report stated two patients who had undergone third-molar extractions by Dr. Vecchione at his Budd Lake, NJ, office subsequently required heart surgery after contracting bacterial endocarditis. Another patient contracted bacterial endocarditis in 2012, which required heart valve replacement surgery, after having a bone graft and implant procedure by Dr. Vecchione, the dental board reported. Timely dispose of outdated medication. Develop written policies and procedures for infection control. Provide adequate space for clean and dirty medication preparation areas. The health department report also noted the storage and use of unwrapped syringes, using nonsterile products (such as the multiple use of alcohol dispensers), storing medication in the staff bathroom, and poor hand hygiene. Dr. Vecchione was also required to take a seven-hour course in record keeping. "I think Dr. Vecchione's office should have been shut down in 2014 when these allegations came to light," Lynch told DrBicuspid.com. Dr. Vecchione did not respond to calls for comment. Lynch criticized the health department for not releasing the report to the public. "The public should have been given this information," said Lynch, noting that it took two years to complete the investigation. He had to file six requests to get the report, which is not listed on the health department's website. "My clients are angry, because they weren't notified by the board of health," Lynch said. "They published an anonymous report. It's surprising to me his name and his office aren't included." He noted that the only way to figure out which dentist the health department is referring to in its report is comparing their investigation with the dental board's report. "It's a public agency, but it seems like they're protecting this dentist by not making this information public," Lynch said. The lawsuits accuse Dr. Vecchione of "demonstrating a negligent and careless failure to exercise the proper care and diligence that is required of his profession." "There has to be a change in the system to make these things public, so people can protect themselves," Lynch said.